Crews are on the scene of a fiery, Friday night crash in the Fork area. At about 10:30 p.m., an accident was reported in the 12900 block of Harford Road. 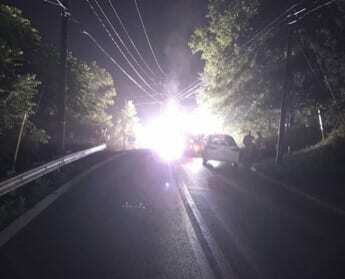 The crash brought power lines down which then ignited in the roadway. Crews from the Kingsville Volunteer Fire Company and Fallston Volunteer Fire Company have responded to the scene. Hartford Road remains shut down at this hour.